UPDATE 15th JULY: JIO HAS EXTENDED THEIR DHAN DHANA DHAN OFFER FOR 3 MORE MONTHS. CLICK HERE TO READ. Did you know that Jio has announced JioPhone, a feature phone that you can get with an effective cost of just Rs0? Using it you can do Unlimited Calls, SMS, and the Internet. It supports 4G VoLTE and has all Jio Services like JioTV, JioMusic, JioCinema, JioMags etc. It has NFC and you can use it to do payments. You can add your bank cards there too for instant payments. 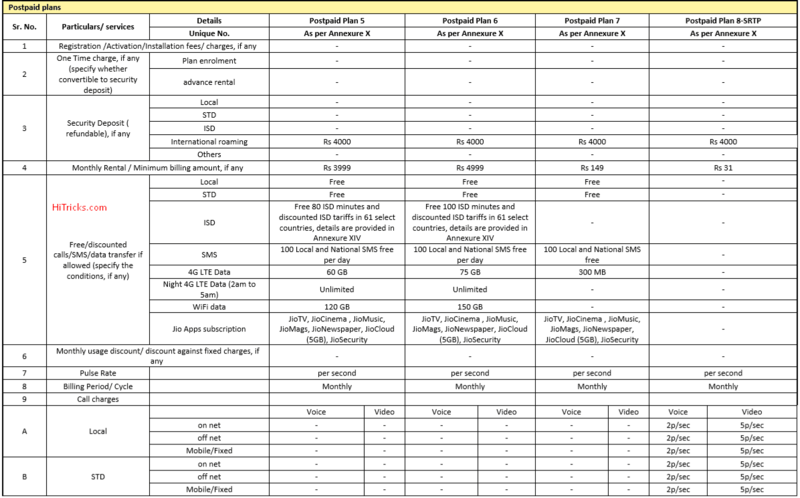 It also has interesting tariff plans. 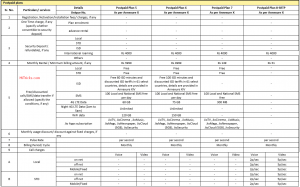 Check out JioPhone Features from Here. Reliance Jio 4g is finally launched on 1st September 2016. It is India’s first ever VoLTE Network. 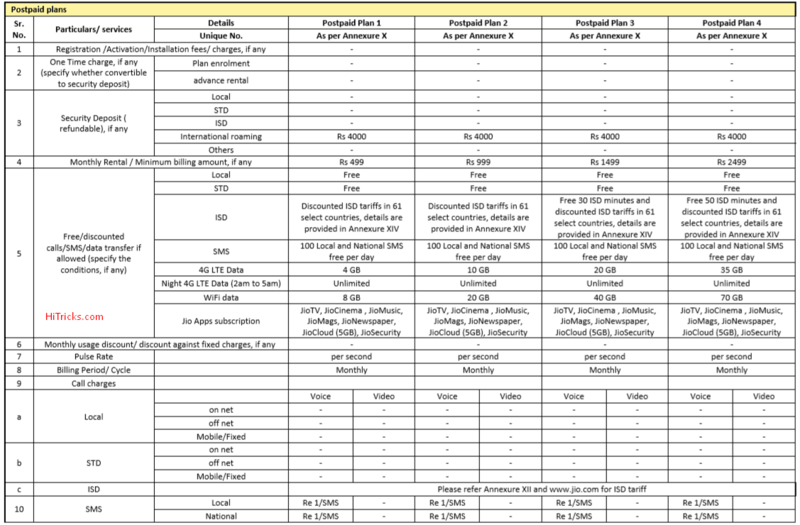 With its inception, Reliance Jio has announced their tariff plans as well. And they are not-so-cheap like it sounds. In fact, the Reliance Jio tariff plans are quite diplomatically made which will equally lure users to join their network and ultimately end up spending more money on them in the long run. 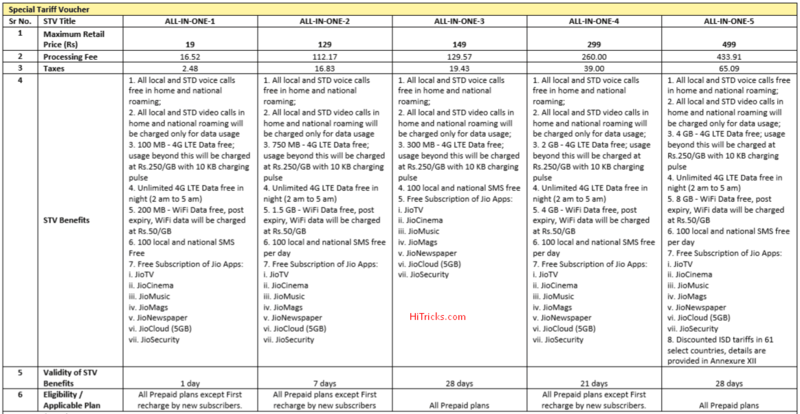 In the following post, I will discuss the Reliance Jio 4g VoLTE Tariff Plans with Cost in details, including calls, SMS, Combo Vouchers, Plan Vouchers, Top Up Vouchers and the Jio Premium Apps. After several months of Device-Specific 3-Months Unlimited Jio Preview Offers, finally, The Reliance Jio Network is available for all 4g supported mobile phones. An important point to note, Reliance Jio is a 4g only network. It is not available for 3g phones, and won’t be available for them in the future ever. 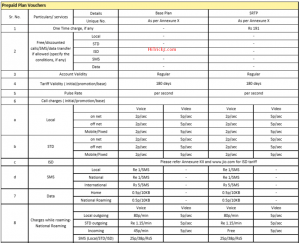 Let’s proceed to the Reliance Jio 4g VoLTE Tariff Plan Details. Note: To view the below images in large format, click on them. 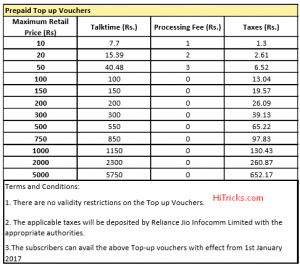 Jio Plan Vouchers are the usual calling rates when you DON’T buy any Jio Tariff Plans. 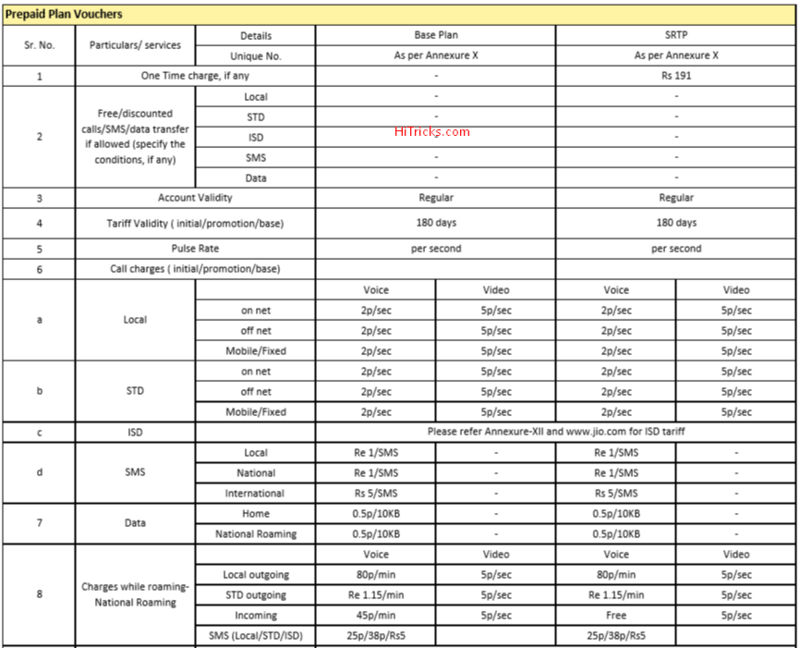 Here are the All-in-One Tariff Plans of Reliance Jio, which enables you to enjoy a good mix of every services offered by Jio. You can say it is a type of combo plan. 1. Wi-Fi data benefits in the STVs pertain to Wi-Fi data availed in the Public Wi-Fi hotspots of RJIL. 2. The subscribers can avail the above STVs effective from 1st January 2017. 3. The data used by the consumers for Jio applications, Video calls and other content available on internet would be uniformly debited against plan data allocation. 4. Unutilized free benefits will be forfeited at the expiry of STV. 5. The STV 1, STV 2 and STV 4 with denominations Rs.19, Rs.129 and Rs. 299 respectively cannot be availed as a First recharge by new subscribers. 6. 25% additional 4G LTE & WiFi data benefits will be provided to students on providing a valid identity card. These packs are made for you if you end up your data allowance for All-in-one plans and want more internet data. As you know, after you consume your data allowance, the cost of data will be Rs250 per GB, so it is good to subscribe to a Data Addon Pack. The validity of the Data Addon Pack is equal to the All-In-One Tariff Plan that you are subscribed to. 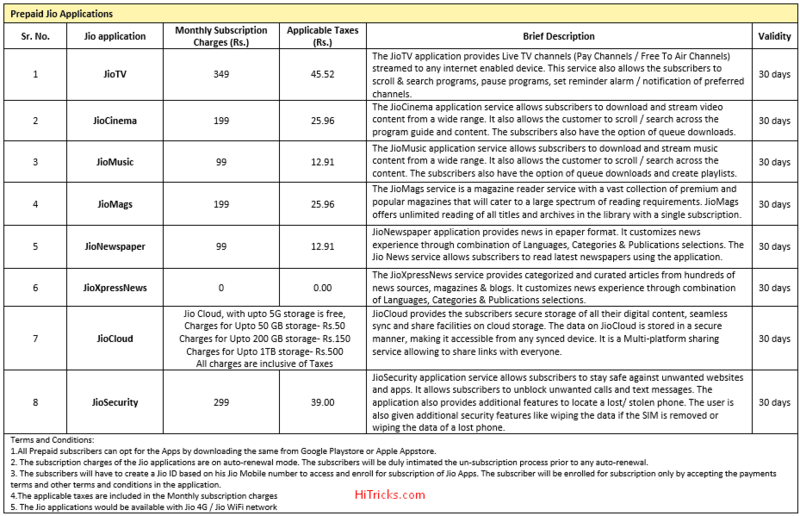 These are the charges applicable for using Jio Premium Apps. MyJio: The place to see your sim balance and plan details. You can also install other Jio Apps from here. JioChat: Chat with your Jio Buddies and do Free Video Calls using this app. JioTV: Watch LIVE TV on the go for free. It has 300+ Channels including 50+ HD Channels. More and more channels are being added. JioCinema: Unlike JioTV, which was a collection of Live TV Channels, JioCinema is an archive of Indian Movies and TV Shows. This is free as well. JioOnDemand: Similar to JioCinema, but this one has Ad Free Hollywood, Bollywood and Regional entertainment including movies and tv shows. This service is also free. JioMusic: Listen to ad-free HD Music and Radio for free. You can download the music and hear offline. JioMags: This is an app to get latest Magazines for free. 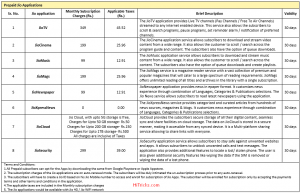 JioSecurity: Jio’s Anti-Virus application. It will protect you from all threats. JioMoney Wallet: Your virtual wallet. You can do Mobile Recharges, DTH, Bill Payments, Shopping and more. JioDrive: Similar to Google Drive, you get free cloud storage to store your stuff in the cloud. Did I say it comes with Unlimited Storage for Free? JioXpress News: An app to get latest news updates. Jio MediaShare: Using this app you can share your media from one device to other devices at your home. Jio Broadcast: You can broadcast live using this app. So, hope you got a complete list of services you are going to get for free of cost. So finally, all 4G users can taste Reliance Jio on their phones. Reliance Jio is coming for all from 5th September onwards. To grab a Jio Sim for your 4G Handset, Download the MyJio App from Play Store and open it. You shall see an option: Get Jio Sim. Click on it and Proceed to Generate Barcode. Take print out of your barcode and Simply walk into a Reliance Digital Store or Xpress Mini Store and avail your Free Jio sim card. You will need to provide photocopies of your Proof of Identity and Proof of Address. I have written a detailed step by step guide to avail the Reliance Jio Preview Offer, which you can read, as activating the Reliance Jio Welcome offer is more or less similar to the preview offer, this post may act as a reference to you. Till 31st December, you can grab a Reliance Jio Sim free of cost. You don’t need to pay anything. Well, I heard some stores are selling sim cards for Rs50 to Rs200, due to the high demand of the sim cards. 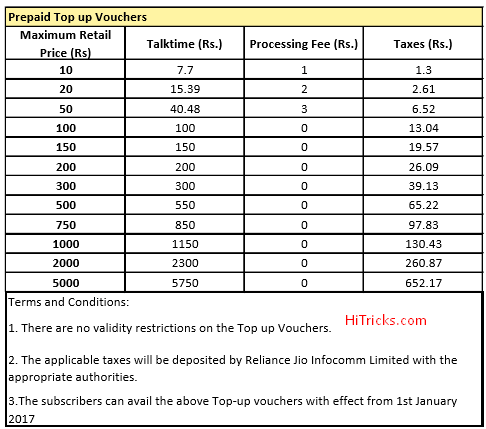 Let me tell you; officially Reliance does not charge any amount for the sim. It’s the shopkeepers who are filling their pockets. Well, when the demand is high, this is very common. And you can’t help that. Only try to grab sim from a different store. 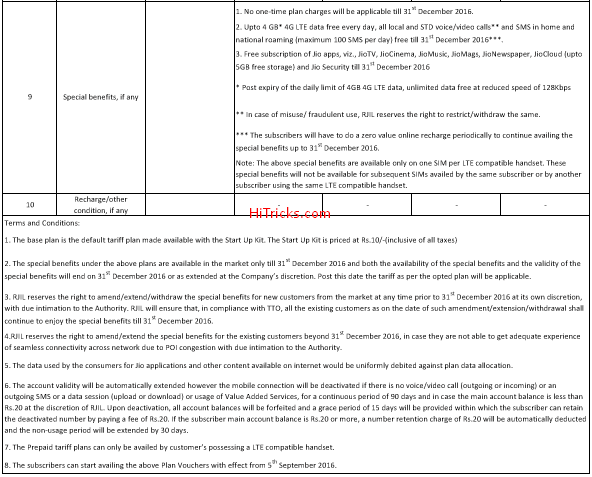 Here are the Customer Care Details for Reliance Jio. 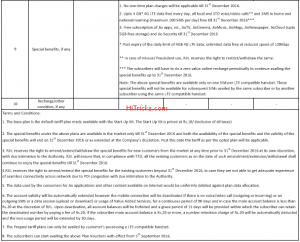 How to activate the Reliance Jio Welcome Offer on your Android Device? After you grab the jio sim, you need to enable it so that you can get the Jio Trial Offer until 31st December. 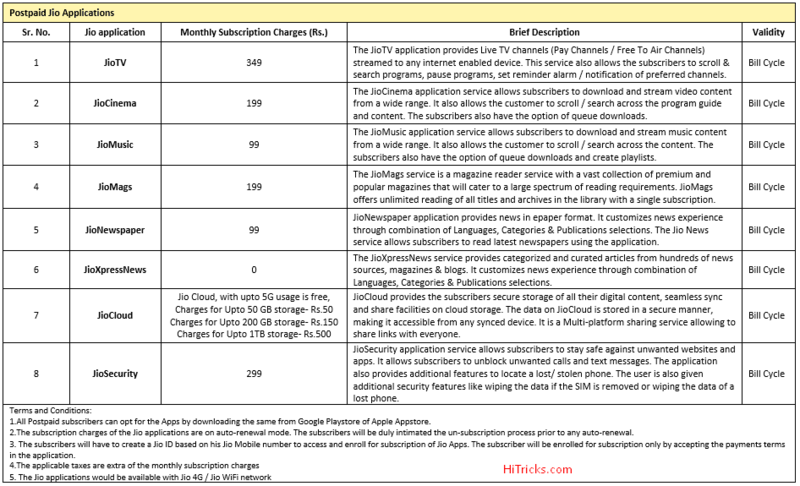 The steps to activate the Jio Trial Offer is similar to the steps mentioned to activate the Jio Preview Offer. 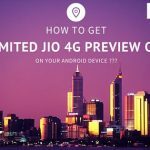 Please go through my detailed step by step post to Activate Jio Preview Offer on your Android Device. You don’t need to read from the beginning. Read from Step 4 onwards. You just need to know the part of activating the Jio Trial Offer. 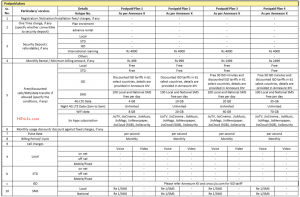 Well, this is fun as well as informative section regarding Reliance Jio. Here I tried to give you a rough sketch of the features of Jio and the endless possibilities you can achieve using Jio. The era of making Missed Calls is over! Yep, now your Girlfriends will directly call you, and you don’t need to call back. Because of its Jio Fever. Ratecutters are gone forever! No more doing ‘power’ recharges to reduce calling rate to seconds pulse. It’s free now! 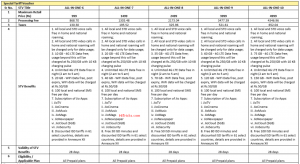 No more Blackout days on Diwali, Good Friday, New Year, etc. Now call and wish anyone freely. Thanks to Jio Premium Apps, you can now watch Live TV on the go for free. Yes, HD Channels too. Watching sports while traveling on bus and trains is now possible with JioTV. Even for long distance routes, Reliance Jio ensured that their network remains uninterrupted and has the highest coverage. Last but not the least, Reliance Jio has shaken the major telecom operators like Vodafone and Airtel. In fact, they will be losing the entire money which they used to earn via calling service. The Internet is also costly in their network, so they need to bring down the rates to compete with Jio, which will result in further loss. Their only hope is 3g handset users. But soon most 3g users will shift to 4g if this continue. Reliance Jio is India’s first ever VoLTE network. It comes with HD Calling with super awesome call quality. 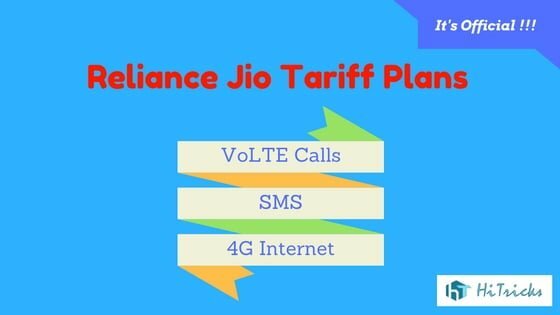 VoLTE supported phones will work best with Jio. However, general 4g phones will also work well and able to make VoLTE calls using the JioJoin app. Other telecom operators have introduced, 4g, but, their calls are still made on 2g and 3g networks, which costs much more than 4G networks. 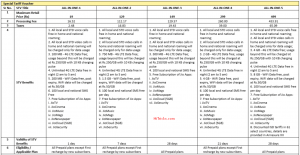 Reliance Jio can offer Free Calling as VoLTE Technology is real cheap! Existing operators run 3g and 4g over old 2g towers, but reliance jio is built on high-quality 4g towers, which is future-proof to support 5g technology when it launches in near future. Existing operators need to freshly install 4g towers to support VoLTE, which Reliance has already completed. In future, Reliance Jio is going to bring Fiber Internet with speeds up to 1 Gbps. The cost will be cheaper then, because of the fiber technology. Wait for that day! Keep your taxes cleared: Reliance Jio paid Rs7286 crores of Income tax this year to become the highest taxpayer in the country on the private sector. In 2011 spectrum auctions, Infotel Broadband Services Limited (IBSL) won broadband spectrums in all 22 states. Later that year, Reliance bought IBSL and at that time they started building this dream network which is now LIVE. Yeah, Rome was not built in a day. 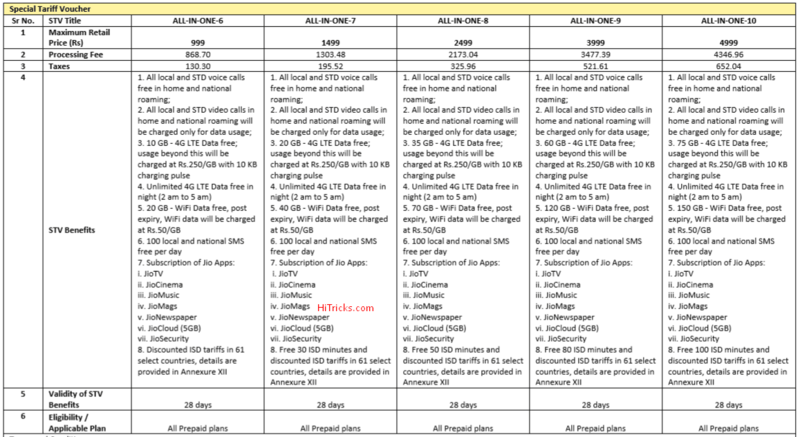 Well, hope you enjoyed my detailed post on Jio Network Tariff Plans. Do share this post with your friends and let them know about this updated network tariffs. Use the social share buttons. Have questions? Feel free to comment below. I will be happy to help. Thanks for reading. That’s all for now. See you soon with more amazing posts. Thanks. 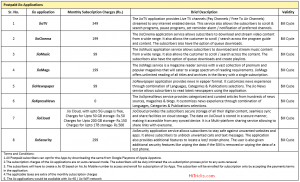 How to Get Reliance Jio Welcome Offer on your Android Device? 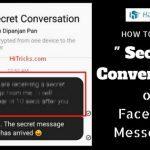 How to start a Secret Conversation on Facebook Messenger? Thanks For Informing Sir … ! Hi, It can take up to 4-6 weeks for activation. This time is taken due to huge backlog of documents left to process. Hope you understand. Thanks.